The California Room is available for Weddings, Parties, Benefits and more! 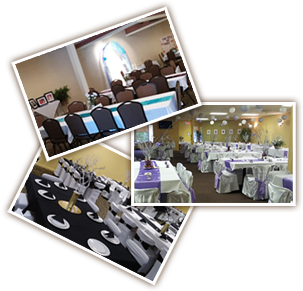 Plan your Wedding, party or reunion in Southern NH at our function room starting at $75.00 an hour! We won’t change the price when you say “Wedding”. Our California Rooms graciously hosts small, intimate gatherings of 40 to 150 guests, reception style and everything in between. 1. You spend days making certain your home can handle all the guests. 2. During the event you spend all your time making sure everyone is happy. 3. When your guests leave, you handle all the clean up. Bottom line - it is too much work to do and you don’t get to enjoy the party like the guests do. Here are The California Room Features: Seating up to 80 or 150 guest in our function halls. Don’t forget we have a Full Liquor License with close to 100 types of beverages on hand. We also offer a full catering menu. 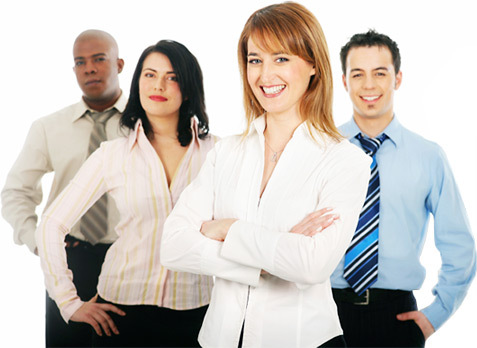 Don’t forget to read our actual customers testimonials! Anniversaries, Birthday Parties, Business Meetings, Family Reunions, Holiday Parties, Jack & Jill Parties, Weddings, Receptions and More! I had my wedding and reception at the California room Jeff was very accommodating and very well priced in this economy. He exceeded my expectations. Before you rent a VFW, check his place out!! It was an amazing and memorable experience. Jeff provided food, alcohol and even a DJ, at such a great rate. The room is very well done. I would absolutely use him again. We had our wedding and reception here. Jeff was very nice and set the hall up just the way we wanted it to be. We have rented halls for other functions in the past. They were no where near as personal and inexpensive as The California Room. Thanks for helping us create amazing memories! Thank you both! Your wedding was great! We had our wedding and reception here. Jeff was very nice and set the hall up just the way we wanted it to be. We have rented halls for other functions in the past. They were no where near as personal and inexpensive as The California Room. Thanks for helping us create amazing memories! Thank you both! Your wedding was great! We had my Dad's 84th birthday party here. We also had his 80th here as well. I hope we are able to host another one for him here as well. The hall was very clean and set up beautifully when we arrived. Bathrooms were immaculate. The food was awesome, and plenty of it. The bartender was delightful. We couldn't have asked for anything more! Thank you Jeff, you and your staff did an awesome job! We had my Dad's 84th birthday party here. We also had his 80th here as well. I hope we are able to host another one for him here as well. The hall was very clean and set up beautifully when we arrived. Bathrooms were immaculate. The food was awesome, and plenty of it. The bartender was delightful. We couldn't have asked for anything more! Thank you Jeff, you and your staff did an awesome job! We had a great time. I attended an 80th birthday party at the California Room it was not just a boring party it was awesome DJ and the Catering was amazing . everyone was so pleasant. The night went smoothly and effortlessly due to the staff at the California room. I have been to a couple of functions here and it's well worth your time to give Jeff a call. Why not cater your next party ? its pretty simple to set up and just have fun ! y family reunion was held at the California Room and Jeff was amazing. The function hall was perfect and the night couldnt have gone better. My whole huge family was more than pleased with the great food, the hospitality and will defintely use the California Room for future functions. Thanks for a perfect reunion! We had my mom's 80th birthday celebration at the California Room mid September. What a wonderful event. Jeff and their staff were very professional and accommodating. The food was terrific and ready on-time leaving us plenty of time for other festivities. Jeff was on top of everything and was ready to assist in any way possible. My mother said it was the best birthday she has ever had...thanks to the California Room! Me and my family will be having all our big events there, well worth the money and what a beautiful hall! Thanks Jeff for an amazing evening we will never forget! Attended a wedding in the spring of 2014 ~ we had a GREAT time and the service was excellent. The staff were friendly, speedy and supportive. Worked well w/the DJ and ran things smooth. Well done - thank you for an amazing night! We had our son's college graduation party in the brand new room at the California Room on 9/21/13, approximately 50 people. The room was plenty big; enough room to mingle, dance & eat. We brought our own food & music. It was great, we plugged an I-pod into the sound system provided and had a blast! It got warm in the room due to AC problems; Jeff was right there with a solution though and was able to cool it off. We liked the fact that Jeff Crocker was on the premises & available to help if needed. We highly recommend the California Room to anyone! On Sunday, August 18, 2013 we had a party to celebrate our friends 30th wedding anniversary. This is actually the 2nd time we have rented the California Room. The room is a great place to have a party like this. Jeff Crocker is very accommodating and wants to ensure that everything is setup well. Jeff is always reachable by phone or email. The sound system is great; we brought our laptop and put iTunes on shuffle and had great music playing for the duration. The bar service is good. The room layout is very nice and offers plenty of space. This time around we brought our own food. The first time we had it catered. Either way, it sure beats having 50-60 people at your home. I highly recommend The California Room to anyone that wants to have any type of function like this. We will definitely come back again! I had my daughters Graduation party here and I'm so glad I found this place.It beats any other rental.What a beautiful room.I highly recommend this hall.The help is great..Thanks Jeff.